Located within close proximity to the coastal city of Shork, capital of Freeport county, Pinesedge aims to be the main lumber distributor within the county. Its expansive tree groves will supply nearby settlements, towns, and outposts in the county with their much needed lumber for homes and finely crafted goods sold throughout Vornair. *The Lawbringer is the town’s bounty hunter, in charge of keeping the peace and bringing issues to the Town Council. Founding families make up the Town Council, one member from each family becomes an advisor to the mayor, and individuals most suited to take the position of Mayor if the time came for it. With a limit of 4 founding families plus the Mayoral family - each family is expected to contribute a unique aspect to the town to help it flourish and grow. Example: A family of woodworkers, the Woods, built a sawmill and established a local carpentry shop. Decision Making: Aid in the growth of the town, whether that is agreement on road connection or voting on building prioritization. Voting: In addition to voting on the growth of the town, the Town Council also votes among them as to who receives the distinction of Deputy Mayor. Deputy Mayor: At times the Mayoress will not be available and will require their Deputy Mayor to step in to represent them. This is a character-lifetime position and the responsibility is transferred to a new Town Council member once their soul takes its final walk. Electing new Town Council Representatives: Membership to the Town Council is one lifetime - the founding family must choose a new representative once their current representative departs. If none in the family are left or willing to represent the family, then the Founding Family loses their position and the Town Council must elect a new family from those in Pinesedge. 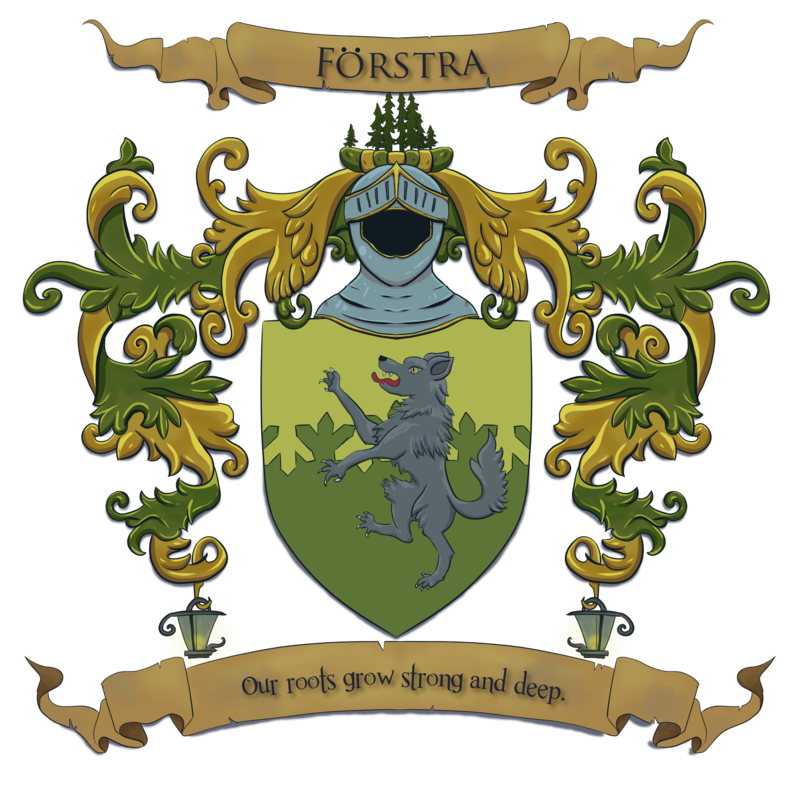 The Förstra family is a proud and loyal family, one that sets their roots deep into the earth braced to weather any storm. Their name originates from their relationship to the earth, and its many gifts, through arboriculture, carpentry, and architecture. It is believed that the family motto originated through its Proto-Neran ancestry, and relates to the fierce dedication to adherence of the Virtori. That it takes both sword and scythe, to enforce the will of the righteous and defend the virtues of Mann. Helena Förstra was born to the industrious family in the City of Shork, when the county was fairly young. While still young herself, the Förstra Family became unhappy with city life, they met with the Count of Freeport to propose a mutual agreement, that the Förstra Family be allowed to settle enough land to build a town, and in return, help feed the ever growing population of his county and meet the increasing demands for good lumber. The Count, owing many large favors to the Förstras agreed to the proposal and the Förstras were permitted to build what became known as the town of Pinesedge, named after the groves of towering pines raised in the area. Helena Förstra, seeks to raise a large family in order to spread her lineage and further the health and prosperity of the Förstra name. However, she has decided to pause any search in a family alliance via suitor until the right time. As such, if you desire the Förstra name and would like to take root in Pinesedge or nearby locations within Freeport County - Helena should be contacted for further details. Commitment to one of the following professions: Any type of agricultural or arboriculture-related professions (farmer, rancher, logger, herbalist), or professions relating to the process or sale of agricultural products (including, but not limited to, Cooking, Carpentry, Fletching, Woodworking, Baking, and Brewing). Exceptions are possible. Societal Status: Must be a sanctioned landowner (Gentry or above) - as the Förstras tend to root themselves in one place, many Fosters don’t find themselves away from home for a long time but it has been known to happen (meaning exceptions apply for exploring or adventuring types). Updated family surname, background & new Coat of Arms to reflect slightly changed goals! 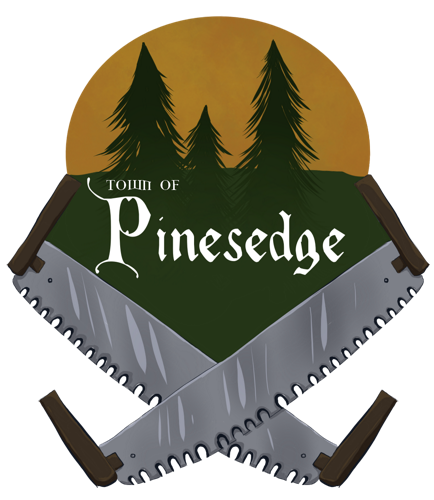 Updated Pinesedge to include a shiny new town emblem more suitable for the town's goals!